Internal Halyard Flagpoles will prevent the risks of the theft or the unauthorized lowering of the flag as it features a special winch that can only be operated by a removable crank. 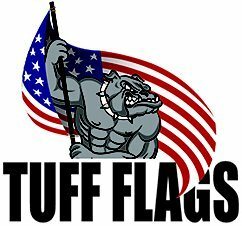 Tuff Flags has a range of 100% made in USA Internal Halyard Flagpoles in varying heights between 20 and 80 feet that can withstand high speed wind.Choose from Heavy Commercial Internal Halyard Flagpole or Standard Commercial Internal Winch Flagpole as per your flag hoisting needs and budget.Shop from our collection of Internal Halyard Flagpoles that enjoy lifetime warranty right away and avail the best prices, quick shipping and much more! 100% customer satisfaction guaranteed! The Internal Halyard Design protects your halyard and limits the access to only those you want to be let in. 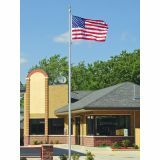 If you are looking for a durable yet budget friendly flagpole for your flag flying needs then place your bet on Standard Commercial Internal Winch Flagpole Series. 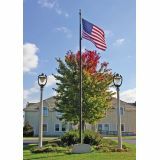 This flagpole comes with various accessories including Gold Anodized Aluminum Ball Ornament, Stainless Steel Cable Assembly, Deluxe Flag Arrangement,Spun Aluminum Flash Collarand Galvanized Steel Foundation Sleeve among others. 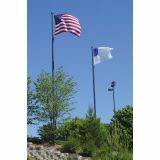 Heavy Commercial Internal Halyard Flagpole withstands higher winds and is used by government buildings, banks and large corporations. Browse our collection of InternalHalyard Flagpolesand pick up a model that matches your flag flying requirements. 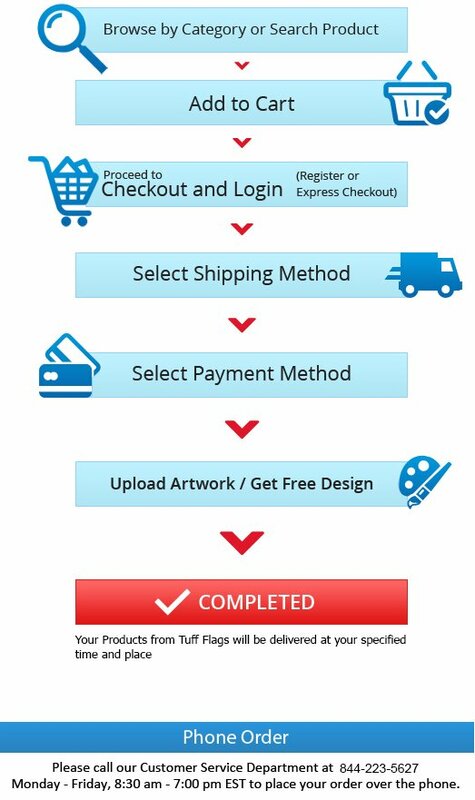 If you are not sure of the appropriate flagpole model call us at our toll free number (888) 287-3524 or email us at customercare@tuffflags.com and we can assist you.